KUALA LUMPUR: The Malaysian International Chamber of Commerce and Industry (MICCI), the country’s largest and oldest business chamber, has called for a special multi-agency task force to be set up to curb smuggling. Its president Datuk Tan Cheng Kiat (pic) said the chamber estimates that the government loses around RM8 billion a year of tax revenue due to such illicit trade, predominantly from the tobacco and alcohol industries. It believes having the multi-agency task force could help to potentially recoup RM3 billion to RM4 billion per annum in tax revenue for the government. “Our ports are also quite porous; [in other words] a lot of things can be moved without a proper surveillance check on whether duties have been paid, and whether the goods moved are illegal. “It is undeniable that Malaysia is facing a serious smuggling situation that threatens the economic sovereignty of the country. The black market is booming and there is an urgent need to plug such leakage in government revenue,” he told a press conference yesterday. Tan said the task force should comprise representatives from the customs department, the ministries of finance, domestic trade and consumer affairs, and health, besides the police, the Malaysian Maritime Enforcement Agency and other relevant authorities. The MICCI suggested that a “one-stop centre” be set up immediately to help streamline regulatory procedures to ease the process of applying for approvals for investments. It also said the government needs to look into income tax issues faced by the business community, particularly the timelines of corporate tax refunds from the Inland Revenue Board (IRB). “A lot of businesses have been caught in the position whereby if they are late with tax filing, they get slapped with a penalty [by the IRB]; this is very one-sided. 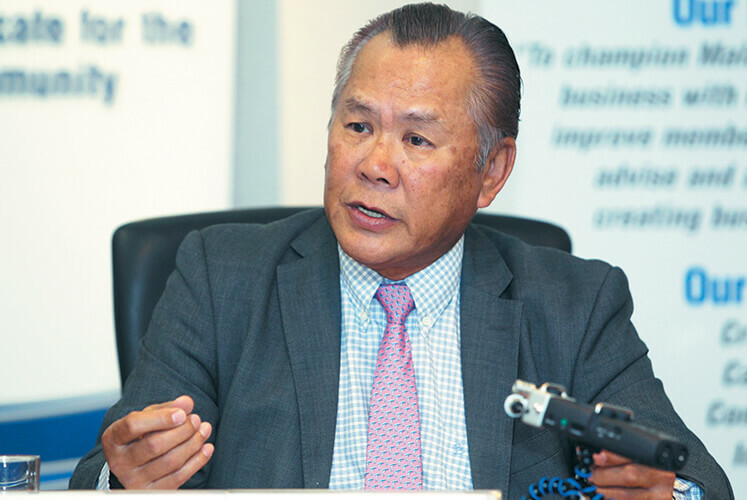 With Malaysia Inc, we hope it will be fair to both sides (to the IRB and taxpayers),” said Tan. “It was very tough doing business in Malaysia in the past because of unclear and unfair policies, with lots of agencies, procedures and red tape — it was quite agonising to businesses as there was a lot of corruption. [But] we can’t expect an overnight change from the present government and for all these [issues] to disappear, we need to give it time and be patient,” he added.